Sir JJ College of Architecture Admissions 2018 application form will tentatively begin in June 2018. Sir JJ College of Architecture will offer admission on the basis of the Score obtained in NATA. Sir JJ College of Architecture will participate in the Centralised Admission Process (CAP) conducted for the CAP participating colleges. The Centralised Admission Process (CAP) will be administered by Directorate of Technical Education (DTE) Maharashtra. Sir JJ College of Architecture fees is given on this page. Click here for details on DTE Maharashtra Architecture Admission 2018. This page will be updated shortly with more details, visitors are suggested that visit the page from time to time to get updated information about Sir JJ College of Architecture Admission 2018. 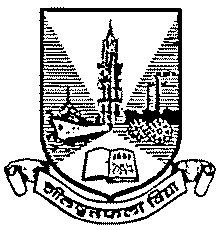 Sir JJ College of Architecture is one of the most reputed institutes of India and is situated in the core of Mumbai. It has been ranked as one of the Top 5 colleges in the country by Outlook Magazine and India Today. Sir JJ College of Architecture offers both Under-Graduate as well as Post-Graduate courses in Architecture. Sir JJ College of Architecture was initially started as Asia’s First School of Architecture in 1913 and was given the status of a College later. Nationality: The applicant must be an Indian National. Class 12: The applicant must have cleared class 12 examination from Maharashtra State Board of Secondary Education or any other equivalent board with Mathematics as a compulsory subject. Diploma: The applicant must have cleared 10+3 full-time diploma from an AICTE/ Central/ State recognised institute. Minimum Marks: The applicant must score a minimum 50% marks in class 12 or equivalent examination. The minimum marks are 45% for applicants belonging to Backward Class and Person with Disability belonging to Maharashtra only. NATA Score: Candidate must have obtained at least 40% marks i.e. 80 marks out of 200 in NATA. The minimum marks are 35% for applicants belonging to Backward Class and Person with Disability belonging to Maharashtra only. In order to get admission in JJ College of Architecture, candidates need to make an application for the Centralised Admission Process (CAP). Under CAP, a joint merit list is prepared for all the candidates who have applied for the admission to the first year of B.Arch. program. Admissions are conducted on the basis of Merit List and different participating institutes have different cut off marks at the time of admission. Information Booklet: The information booklet for the Admission process can be purchased from any ARC by paying the application fee of Rs.700 for general candidates and Rs.500 for reserved categories. Making the payment for Information Booklet: The applicants need to make the payment using either Demand Draft or Postal Order drawn in favour of “Director of Technical Education, Mumbai” payable at Mumbai. The content of the Booklet: The booklet will contain Application ID, Password and important application for filling the application form, along with a sheet where the candidate needs to affix a recent photograph and signature. The sheet will be scanned and uploaded while making the application. Making online application: Candidates need to visit the official website of CAP and register on the website using the application number and password received along with the information booklet. After registering all the required information need to be updated in the online application form. After filling all the information and uploading the sheet having signature and photograph on it, candidates need to submit the application form and take the printout of the completed application form. The application form will have the list of the documents which need to be produced for verification purpose. The Selection of the candidates will be done on the basis of the Merit List prepared from all the application received. As a part of Centralised Admission Process, there will be a Common Counseling for the purpose of admission to the participating colleges of the CAP. Correction in Merit List: Candidates need to visit in-person the ARC and lodge the grievance regarding the discrepancy within the specified time period after the display of Provisional Merit Lists. The Final Merit List after any correction will be made available on the official website for Cap. Submission of choices for CAP: Centralised Admission Process will conduct three rounds of counselling for filling the seats and students need to fill their choices online to participate in the counselling process. Important: The Counselling process is online and there will be no Physical Counselling except for students belonging to the J&K Migrant Candidates. The Candidates claiming reservation under J&K Migrant Category needs to be physically present at the institute as per the given schedule to participate in the counselling process. Logging into the account: Candidates need to log into their account in order to participate in the counselling process. The candidates will be asked to reconfirm by entering the application id and password before proceeding to the option filling. Selecting the preferences: Candidates need to enter the 9 Digit code assigned to the institute while entering their preferences. The result of the Counselling: The Allotment through CAP round will be displayed ion the official CAP website. Reporting at the Institution: Candidates need to take the printout of the displayed allotment and report at the institution along with the required Documents and Fees. No separate allotment letter will be sent to the student.